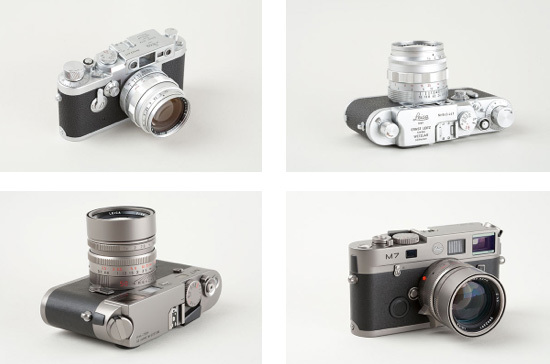 Featured will be a combination of modern, “user” Leica cameras, lenses, and accessories, accompanied by a substantial number of rare and vintage lots. Prominent among the 500 plus lots will be a Leica A Elmax, a Leica 72 18x24, a Leica M9 Hermes outfit, a screw-mount 50mm Summilux f1,4, a Leica M4-2 Safari, a Leica M7 Titanium, a mint black Nikon SP, a black enamel 50mm Summilux f1.4, a Nikon rangefinder Copy Stand, a 50mm Micro-Nikkor f3.5 for the Nikon S, and many modern Leica M and R system lenses. Auction consignments will be accepted until March 14, 2014. The fully illustrated catalogue will be available April 25 and will be on-line at www.tamarkinauctions.com. Instructions for bidding will be posted in German, Japanese and Chinese.